I have mixed opinions about this new product. 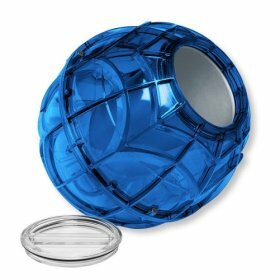 On one hand it’s a really neat example of just what science is capable these days, however on the other hand it’s terribly, terribly sad that such a product is even necessary. 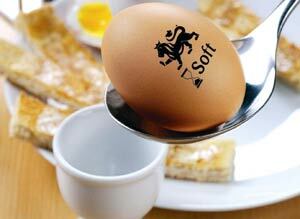 The Smart Egg takes all guess work out of cooking an egg so all you need to do is watch it to know when it’s done. This is a very easy and affordable way to have motion-sensing lights in your house which make life easier and would probably impress guests as well ;). 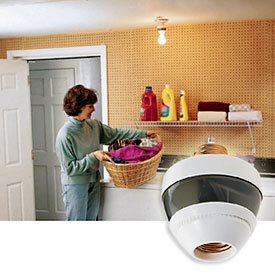 It’s a very simple system to use as the motion sensor attaches directly to the light bulb. To set it up all you have to do is screw the motion-sensor into the light socket, then plug the light bulb into the motion sensor! You then don’t need to control the lights with light switches anymore as the fixture does it for you! 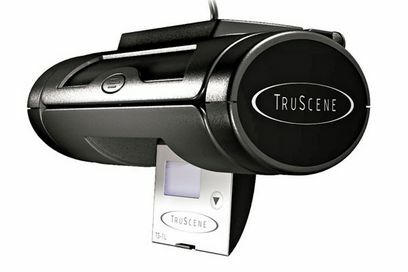 This is a really amazing idea for a gadget which makes you say, “Why didn’t I think of that?” The TruScene camera is a cool little camera which easily attaches to your rear view mirror so you can find out what really happened to your car while you were away. The camera continuously records 30 second clips of what’s happening to your car and records over itself so only the last 30 seconds are saved, making it very light-weight as you don’t need to store a lot of footage. Inside the camera is a small g-force motion detector which detects when your car has been bumped in any way. When your car is bumped, the last 30 seconds that were recorded are saved permanently so you can see exactly what happened. When you think of two things that you need at parties, I’m sure games and ice cream are in your top 10, especially kid’s parties. That’s brings me to this gadget, it’s called the ‘Mega Play & Freeze Ice Cream Maker’. It does exactly what is says on the box! If you thought there couldn’t possibly be any more wireless gadgets left to be made, you were wrong. It seems that in this day and age just about any task you want to do has a wireless substitute. This wireless gadget allows you to remotely monitor the temperature of your meat so you can be a mindful chef while being able to do other tasks at the same time. 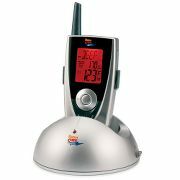 The base transmitter thermometer constantly sends the current temperature of your meat back to the hand held receiver which you can carry with you anywhere within 100′ of the oven. Fed up with your shopping falling all over the boot of the car when coming back from the supermarket? 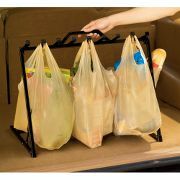 Well, there’s a solution available in the form of the Grocery Bag Rack. Finally there’s an easy way to get your iPod’s videos onto a screen large enough for you to actually bother watching while still keeping it portable. The iFlip looks like a portable DVD player, however it easily docks an iPod right into the front of it so you can play your videos on a screen large enough to share with others. It features an 8.4-inch LCD display and offers a native resolution of 480 x 234. It also has speakers in it so you don’t have to try to share ear-buds. If you do want to listen with headphones, however, there are 2 headphone jacks as well as S-video out and line-out jacks.